Maybe you’ve tried the latest fad diet, eliminated entire food groups, counted points, followed meal plans, or any of a thousand other “solutions.” And maybe you got results for a little while. But the truth is that over 90% of women who lose weight regain it- and sometimes more. In addition, most diets leave women feeling frustrated, guilty, and even more focused on food than ever before. It’s time that we change unproductive behaviors and ditch the diet once and for all. BeyondFit’s 21 Day Food Freedom Challenge provides you with the tools and strategies to develop a healthier relationship with food. 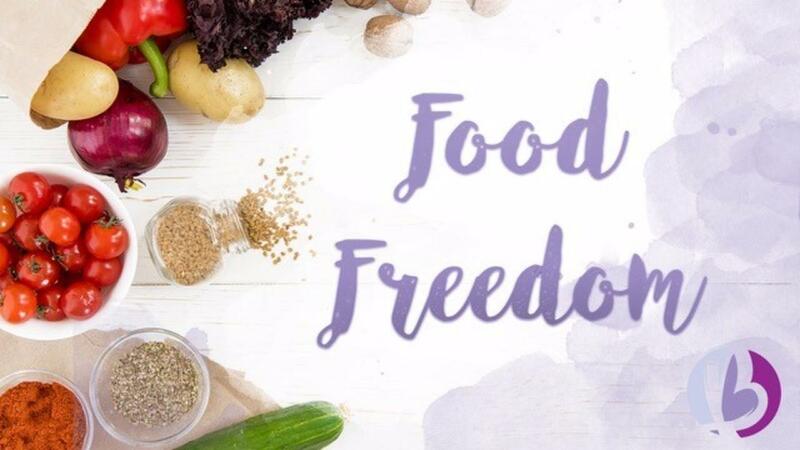 TAKE THE FOOD FREEDOM CHALLENGE! How do you know if BeyondFit’s Food Freedom Challenge is right for you? BeyondFit’s Food Freedom Challenge is designed for women who have a desire to develop a healthier relationship with food. Whether you feel an overwhelming anxiety around food, have fallen into the overweight-diet-repeat cycle, or are simply looking for ways to discover greater awareness in relation to your body’s own hunger cues, this course is for you. If you’d like to prevent overeating spirals, learn how to eat from physical rather than emotional hunger, and reframe food thoughts for true food freedom, this course is for you. If you’re interested learning how to handle cravings, overcome obstacles, practice mindful eating, and identify your own personal trigger and buffer foods, this course is for you. Breaking free from the dieting mindset and disordered thinking patterns that hold you hostage is not an easy job. But if you desire to find lasting freedom with food, this course can help. Who is this course NOT right for? This is not a weight loss challenge. BeyondFit’s Food Freedom challenge is a mindset and teaching course that covers topics ranging from emotions, body awareness, and thought restructuring. This course is not for women who are looking for a quick fix diet or rapid weight loss technique, but rather it’s for women who want to develop a healthier relationship with food. NOTE: This challenge is not designed treat those suffering from clinically-diagnosed eating disorders. If you fall into this category, please seek the further advice of a trusted medical professional. The information enclosed in this course is for educational purposes only. Get the tools and strategies to develop a healthier relationship with food.